Tauranga rally driver Phil Campbell has recorded a dream result at the second round of the Brian Green Property Group New Zealand Rally Championship, the Drivesouth Otago Rally, coming home second overall and claiming top points in the four-wheel drive category. Campbell and co-driver Venita Fabbro headed to the southern-most championship round third in the NZRC points standings and were immediately on a pace that would see them in the top five across the opening three stages. It was the fourth stage of the event where Campbell made his move, with a second fastest stage time moving him into second place for the rally, 19 seconds behind current World Rally Championship regular Hayden Paddon. Campbell then entered a battle with Paddon, taking the lead after stage five and as the day progressed, the pair would swap stage times. By the end of day, Campbell held a scant lead of 0.3 seconds heading into the super special stage, but Campbell would hold his nerve to take a 16.4 second leg win. Campbell entered the second day in two minds, balancing the desire for a second career NZRC round win with the need for solid points in the overall NZRC title race. A conservative start saw the gap drop to 1.2 seconds at the opening service. A charge between services saw Campbell and The Roofing Store Mitsubishi Evo 9 regain the upper hand in the see-saw battle and after a strong fun through the daunting Berwick Forest, the 28-year old would open the gap to 30.3 seconds. The lure of points against his regular rivals as opposed to fighting for a victory on Paddon’s sole championship appearance in the end meant Campbell would miss out on the overall round win by just 2.5 seconds in a final stage thriller, but most importantly was able to take maximum points in the four-wheel drive category of the NZRC. 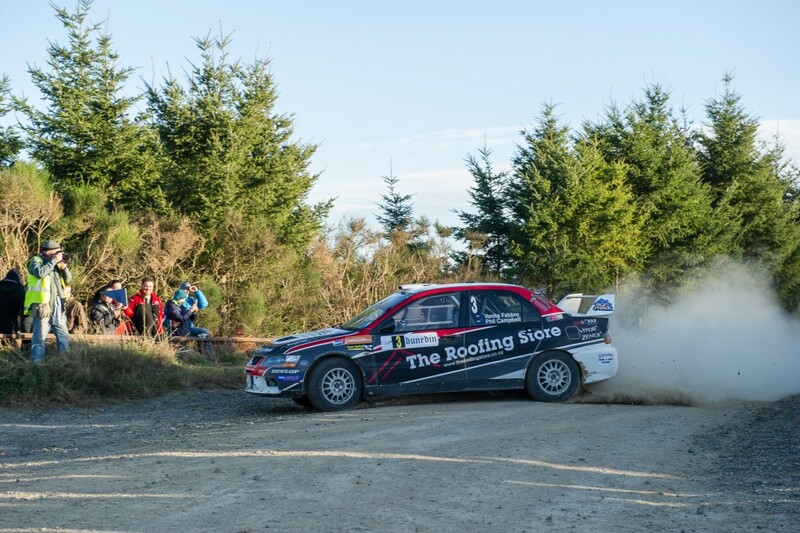 The Campbell Rally Sport team currently sit second in the NZRC standings heading to the third round, Rally Canterbury, on May 30-31.